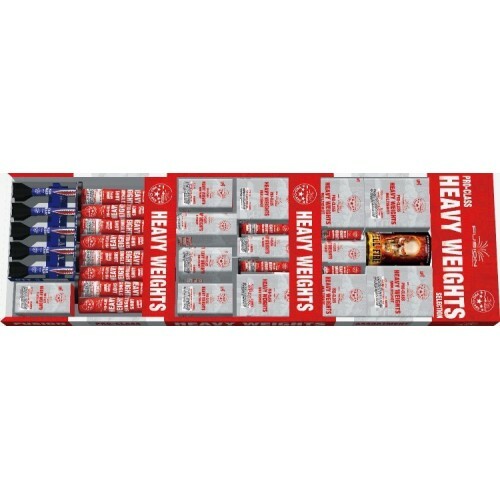 The ultimate assortment pack for those that want nothing but large effects, No filler, no sparklers, just high-quality premium effects. Repackaged for 2018 with effect improvements, these packs sell out every year. 12 x Single Shots including 8x premium max-powder-weight effects! This assortment is all about high high-quality effects. It does not contain any 'filler items'. 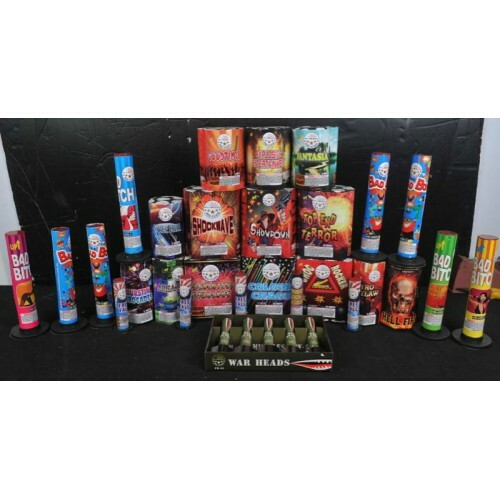 Buy your Fusion Heavyweights selection assortment today from the Territory Day Fireworks shop, Darwin Northern Territory.